Welcoming Zoe Wadsworth to the Bizspace team, who is now managing Oaks Business Park in Barnsley and has her sites on making sure the centre is well known in the local area. 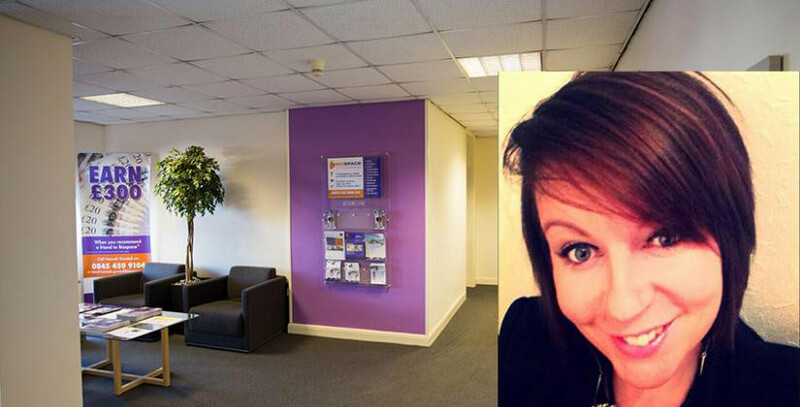 Our Oaks Business Park in Barnsley has a brand new business centre manager, who’s got her sights set on getting the location firmly on the map. Zoe Wadsworth has recently taken the helm at Barnsley and we are delighted to welcome her to the Bizspace team. Her background is in business marketing and events, having worked for six years for Hilton Hotels, and she is relishing the opportunity to bring her skills to Bizspace. “I had been keen to take on more of a management role and when this job opportunity came along I knew it was the ideal fit for me,” Zoe says. I really like what Bizspace stands for and that it’s professional, yet friendly and approachable. Zoe aims to make sure that Oaks Business Park is a well-known location throughout the area and that it is thought of as the flagship business centre for office space and industrial units in Barnsley. She will also be working to promote use of the centre’s meeting room to a wider customer base. Oaks Business Park is currently home to 14 businesses – some of which occupy multiple units to fulfil both their office and industrial requirements. While nearly all the centre’s industrial units are occupied, there are several one or two person offices available for rent, which are ideal for start-up businesses or other small companies. A second building – Acorn House – is currently being refurbished and will provide several larger office units when it opens in 2016. Our Sales and Marketing Director, Emma Long, believes Zoe will be a fantastic asset for our Barnsley customers. “Zoe has lots of exciting ideas for Oaks Business Park that we are sure will be welcomed by both our existing customers and their clients, as well as businesses looking for commercial premises in the area,” she says. Oaks Business Park offers convenient free of charge car parking facilities as well as CCTV for additional security. The centre is convenient for Barnsley town centre as well as junction 37 of the M1, offering easy access to Leeds and Sheffield. Contact Zoe if you are seeking office space, industrial units workshops or storage space in the Barnsley area on 01226 241 427.